Salman Khan acquitted by Jodhpur court in connection with illegal Act case today. The case registered against him by the Rajasthan forest department. As the news announced, Bollywood superstar Salman Khan made his way to Jodhpur court on 18th January 2017. Salman attended by his sister Alvira Agnihotri and his legal team. According to the Salman Khan lawyer, the actor was acquitted as a verdict in the Arms Act case after the prosecution failed to produce conclusive evidence. On the other hand, the opposing lawyer said, “We’ll decide on the further action once we receive the copy of the order”. So we have to wait and see what’s next in this case for Salman Khan. Besides the cases of poaching under Wildlife Protection Act, a case under sections 3/25 and 3/27 of the Arms Act also filed against the actor. The cases filed against Khan for allegedly killing the endangered species under and using the expired license and firearms in poaching of blackbucks in Kankani near Jodhpur. The incident in the year 1998 on 1st & 2nd October when he was shooting for Hum Saath Saath Hai in Jodhpur. The Court maintained its judgment after hearing the concluding arguments from both the sides. 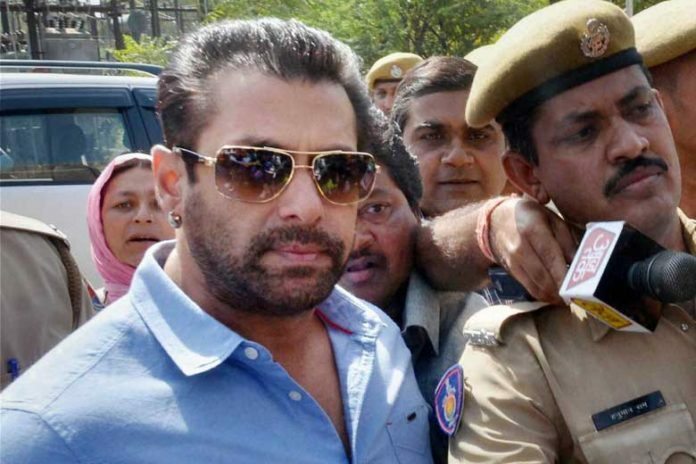 Earlier, the Rajasthan High Court acquitted Salman Khan in two cases of poaching of Chinkara. Salman Khan appeared in the court on 10th March in the year 2016 for recording his statements. He stated that he had framed into the case by the forest department.